The NFC Champion Los Angeles Rams play the New England Patriots in Super Bowl LIII this Sunday, February 3. While looking forward to this game, it’s important to remember the Rams’ last Super Bowl appearance. 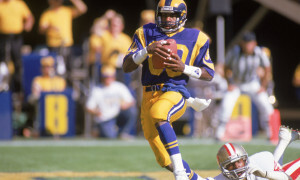 They faced off with the Patriots then as well during the last great era of Rams football – 17 years ago. 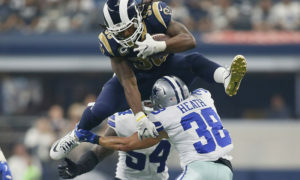 The Rams “Greatest Show on Turf continued living up to the hype two years after winning the Super Bowl two years prior. 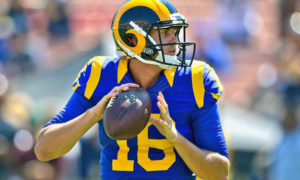 Quarterback Kurt Warner and the Rams offense made NFL history with their third consecutive 500+ point season while earning their second Super Bowl appearance in three years. In fact, the Rams entered their Super Bowl matchup with the Patriots as 14-point favorites. 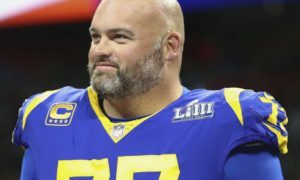 Many experts believed the dominant Rams would earn their second Super Bowl title and stake their claim as the NFL’s newest dynasty. 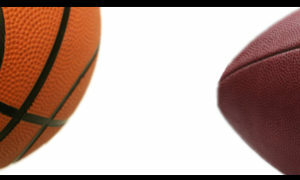 But clichés exist for a reason, and that Super Bowl, may be the best example why. “On any given Sunday” either team can win. Years later, we know that the rosters were much more even on paper than we knew, and the game showed that. The St. Louis Rams took the field against the New England Patriots at the New Orleans Superdome on February 3, 2002. Young backup quarterback Tom Brady did well in his first campaign as starter, with longtime starter Drew Bledsoe injured early in the season. Under the tutelage of head coach Bill Belichick, Brady lead the Patriots to their best season since 1996, a berth in the Super Bowl. 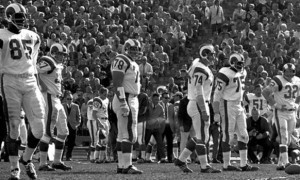 The Rams’ Greatest Show on Turf were favored, but all the hype in the world could not have predicted what happened after kick-off. It was clear from the first snap the Patriots defense came ready to play. 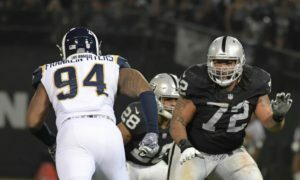 The Rams’ toughness was tested with hard hits on every single snap. New England’s defense hit Rams receivers on every play, which knocked them off their routes. It was evident from the outset that Belichick’s defensive plan was to make sure the Rams’ skill position players felt every single play. The plan worked. St. Louis struggled to find open space and found themselves beginning most of their drives deep in their own territory. During their first scoring drive, Warner completed 6 of 7 passes for only 43 yards and were forced to settle for a long 50-yard Jeff Wilkins field goal. New England put an exclamation point on their early defensive effort with their first sack of Warner on the last play of the first quarter. The Rams led 3-0 after the first quarter. Martz’s offense throughout the next two quarters as the Patriots’ defensive dominance continued. The Patriots’ persistent pressure eventually led to Warner reinjuring his right thumb. 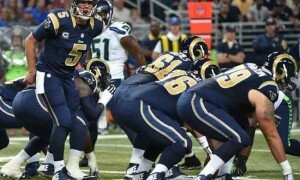 Unable to stretch the field, the explosive Rams offense sputtered into the fourth quarter. The pressure on Warner paid off. New England’s defense scored its first turnover when Mike Vrabel hit Warner as he attempted a pass. Patriots cornerback picked off the pass and returned for a touchdown, giving the Patriots a 7-3 lead. The hits kept coming. Near the end of the first half, Rams receiver Ricky Proehl coughed up a pass from Warner on a jarring tackle by Antwan Harris. The Patriots’ Terrell Buckley recovered the fumble. With just over a minute remaining in the half, Brady lead the Patriots downfield, scoring their first offensive touchdown on an 8-yard pass to receiver David Patten in the corner of the end zone. New England entered halftime with a 14-3 lead. After U2’s heartfelt halftime homage to the 9/11 victims, the teams returned to the field. Martz adjusted his gameplan and focused in on future Hall of Fame running back Marshall Faulk. 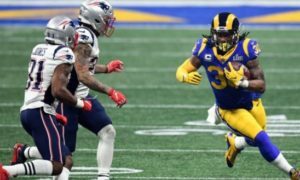 It didn’t work well in the quarter, as the Patriots’ defensive attack once again held the Rams scoreless. However, the Rams defense, lead by defensive coordinator Lovie Smith, fought hard throughout the game to keep it from getting out of reach. Unfortunately, another Rams turnover led to another Patriots score. 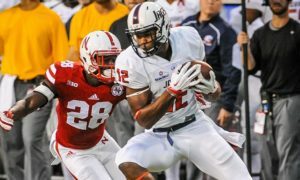 New England’s Otis Smith picked off Warner and returned it 30 yards to put the Patriots in good field position. The Patriots took advantage of it with kicker Adam Vinatieri’s field goal to increase the lead to 17-3 entering the fourth quarter. The Rams finally fought back in the fourth quarter. Their offense continued taking a pounding, but the unit battled for every yard. They finally found themselves in the red zone for the first time with a catch by Faulk that put them inside the 10. Finally, the Rams hit paydirt on a 2-yard quarterback sneak by Warner. New England still led 17-10. Momentum stayed with the Rams. The defense held the Patriots to a second consecutive three-and-out. Warner got the ball back with time ticking away, and the Rams responded. He found Proehl on a 26-yard catch and run to tie the game at 17-17. The 14-point comeback was complete. Unfortunately, there was still over a minute left on the clock. Brady began marking his place in the history books by leading the Patriots into scoring range for the game-winning field goal. With 7 seconds left on the clock, Vinatieri kicked a 48-yard field goal through the uprights, clinching the Super Bowl win for New England and completing their Cinderella-story season. Many Rams fans can tell you the story of where they were and how they felt after Super Bowl XXXVI. Even now, the memory of that Rams loss in Super Bowl XXXVI still brings out the same crushing disappointment as it did when time expired. The frequent sight of Tom Brady smiling with his hands on his head after winning that Super Bowl is another punch to the gut. It still leaves Rams and fans alike with heartbreak. What was expected to be the confirmation of the St. Louis Rams’ “Greatest Show on Turf” dynasty ended that unforgettable night. Instead, it started the Patriots’ nearly 20-year dynasty and launched the legacies of Brady and Belichick. 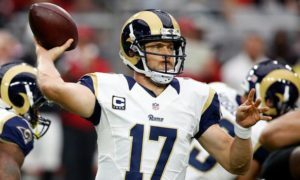 Now, in 2019, the recently relocated and revamped Los Angeles Rams find themselves headed to Super Bowl LIII in Atlanta. Coincidentally, the Rams won their first Super Bowl in Atlanta 19 years ago. 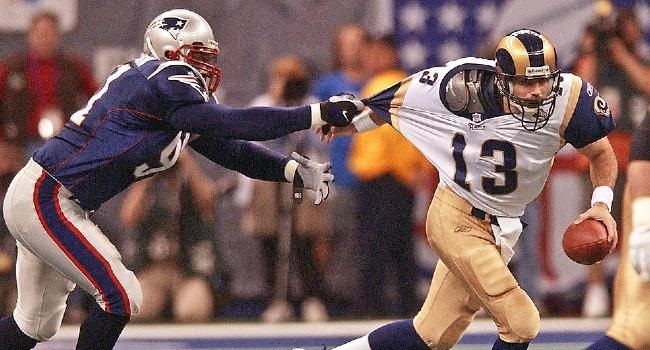 As fate would have it, the Rams will meet up once again to face Tom Brady, Bill Belichick and the Patriots in the Super Bowl exactly 17 years later to the day on February 3. Despite the nearly 20-year gap, many Rams former players and fans have looked forward to this rematch. Questions and suspicions still abound about the Patriots’ win in Super Bowl XXXVI, validated by claims of spying in a Boston Herald article (later forcibly retracted). 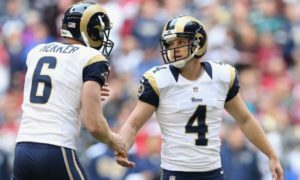 For several former players and longtime Rams fans, the rematch is karmic and a win would be syrupy-sweet revenge. But that is not the focus of Sean McVay’s Rams. The Rams are preparing to meet and the 5-time Super-Bowl winning Patriots. McVay recently praised the Patriots as “the League Standard” in the NFL for many years. However, if the last two years are any indication, what McVay has done to turn this Rams team around is arguably the new standard league-wide. And they are not. Not even close. For this talented Los Angeles Rams team, their legacy is only just beginning. Hoisting the Lombardi trophy while celebrating this Super Bowl win would be the perfect start to a new era in Rams’ history.